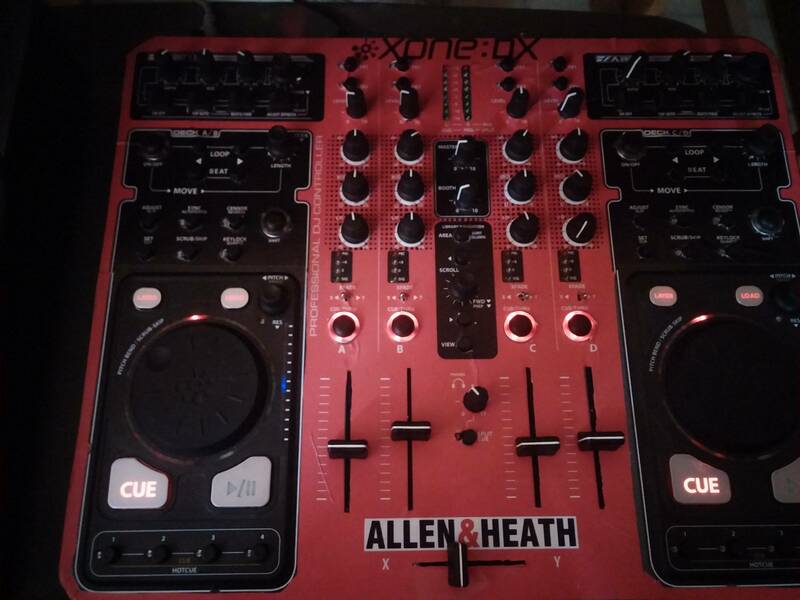 Hi, last christmas a bought a Xone DX, after downloading a TSI template from Traktor Bible and tweaking it a bit to my liking, i just can't find how to make the headphone cue led to lit green... i want decks B and D to have a green headphone cue led, but i just can't find how to do it. I know the led values since they are in the DX's manual. 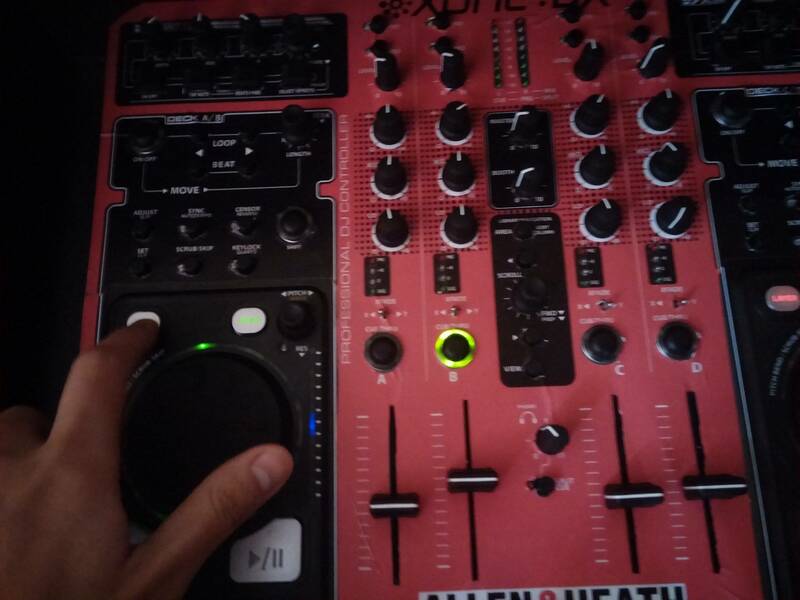 First here's a pic showing all 4 cue leds lit on red, then a pic of deck B's cue led blinking on green when i switch deck layers, this is just to confirm that Traktor can actually send a "green" return value. Here's my TSI file, im using Traktor Pro 2.6.8, Mountain Lion 10.8.4, everything works perfectly except for those leds that i can't make lit on green.